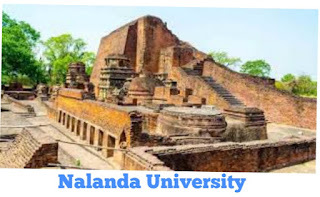 Nalanda University is one of the ancient Indian History adornment. The ancient Nalanda University produced many scholars from India and outside. Nālandā is the name of an ancient center of higher education learning in Bihar, India. The site of Nalanda is situated in the Indian state of Bihar. It is about 95 KM south east of Patna, and was a Buddhist center of education learning from 427 to 1197 CE. Nalanda flourished under the patronage of the great Gupta Dynasty in the 5th and 6th centuries and later under king Harshavardhan, the emperor of Kannauj. At its peak, the school attracted many scholars and students from near and far with some travelling from Tibet, China, Korea, and Central Asia provinces. Historical studies indicate that the University of Nalanda was established around during the reign of the Gupta emperor Kumaragupta. However, after the fall of the Guptas, the most notable patron of the Nalanda University was Harsha, the 7thcentury emperor of Kannauj. Xuanzang (also known as Hiuen Tsang) came India India between the years of 630 and 643 CE, and visited Nalanda University first in 637 and then again in 642, spending his life journey around two years at the monastery. Traditional Tibetan sources mention the existence of a great library at Nalanda University named Dharmaganja (Piety Mart) which comprised three large multistoreyed buildings, the Ratnasagara (Ocean of Jewels and), the Ratnodadhi or Sea of Jewels, and the Ratnaranjaka (Jewel-adorned). Ratnodadhi building was nine storeys high and housed the most sacred manuscripts there. The exact number of volumes of book in the Nalanda library is not known, but it is estimated to have been in the hundreds of thousands material of books. The library of Nalanda not only collected religious manuscripts but also had texts on such subjects as grammar, logic, literature, astrology, astronomy, and medicine also. All the students from Nalanda studied the Great Vehicle (Mahayana) as well as the works of the 18 (Hinayana) sects of Buddhism. In addition to these, they also studied other subjects such as the Vedas, Hetuvidyā (Logic), Shabdavidya (Grammar and Philology), Chikitsavidya (Medicine), the works on magic (the Atharvaveda), and Samkhya in the Nalanda. Nagarjuna, formaliser of the famous concept of Shunyata. When Xuanzang travelled the length and breadth of India in the 7th century A.D., he observed that his religion was in slow decay situation. The final blow was delivered when it is still-flourishing monasteries, the last visible symbols of its existence in India, were overrun during the Muslim invasion in India that swept across Northern India at the turn of the around 13th century. In around year 1193 CE, Bakhtiyar Khilji, a Turkic chieftain out to make a name for himself, was in the service of a commander in Awadh province. The Persian historian, Minhaj-i-Siraj says in his Tabaqat-i Nasiri, recorded that his deeds a few decades later. Khilji was assigned two villages also on the border of Bihar which had become a political noman’s land to them. Sensing an opportunity, he began a series of plundering raids into Bihar region. Since then, it has not been restored until the recent years developments. Disturbed by the fact that an Indian scholar and teacher knew more than the doctors of his own court. Khilji decided to destroy the roots of knowledge, Buddhism and Ayurveda, from the country through Nalanda root. He set fire to the great library of Nalanda University and burned down nearly 9 million manuscripts. The library was so vast and strong that it took around three months to completely destroy it. The Turkish invaders also murdered many monks and scholars in the university. In 1951, the Nava Nalanda Mahavihara , a modern centre for Pali language and Buddhism in the spirit of the ancient institution. It was founded by the Government of Bihar near Nalanda’s ruins at the suggestion of president Dr. Rajendra Prasad. It was deemed to be a university in year 2006. 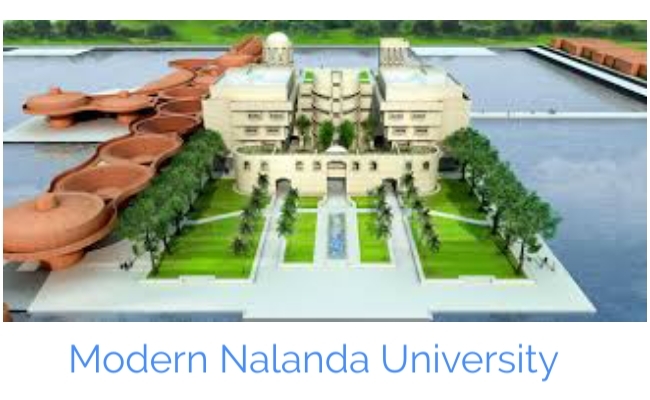 On September 1 , 2014, saw the commencement of the first academic year of a new modern Nalanda University, with 15 students, in nearby Rajgir. The Nalanda has been established in a bid to revive the ancient seat of learning. The university has acquired around 455 acres of land for its campus and has been allotted approx 2727 crores (around $454).It is also being funded by the governments of China, Singapore, Australia, Thailand, and other Buddhist Countries. So, It is complete information on ancient Nalanda University of India. We hope now you are aware about it.